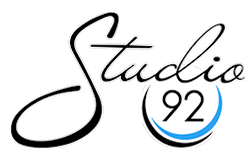 Studio92 Photography – Focused on YOU! Give mom all the LOVE she deserves this Mother's Day!! ❤️ Commemorate the special bonds of Motherhood with a piece of portrait jewelry this year. Receive half off jewelry from previous sessions OR book an April weekday/evening session and receive a complimentary piece of jewelry to make her day special! Meet my friend Stephanie! She's a Special Education Attorney with Hope4Families. She helps families obtain special education services for their children from the public school districts for any type of disability. She empowers families to navigate "the system" successfully and get your child the help they need in school! Mom deserves more than just a squeeze on Mother's Day!! Spoil her with a piece of timeless portrait jewelry from your portrait session!! Receive half off jewelry from previous sessions OR book an April weekday or evening session and receive a complimentary piece of jewelry to make her day special! Have you ever wished that getting in shape was easier?? No more driving to the gym, paying high membership fees and getting lost in the crowd. Meet Larry & Brittney, the owners and trainers at Triangle Theory Training: YOUR LOCAL WEST HILLS NEIGHBORHOOD GYM! !